“In the long history of our country’s constant search for justice, some names of ordinary citizens stand for millions of souls; Plessy, Brown and Parks. To that distinguished list today we add the name of Fred Korematsu.” With those words, President Bill Clinton, in 1998, placed the Presidential Medal of Freedom, the nation’s highest civilian honor, around the neck of Fred Korematsu. January 30th would have been Fred Korematsu’s 98th birthday. On that day he was awarded the nation’s second highest civilian honor – the Google Doodle. Fred Toyosaburo Korematsu didn’t set out to make history. His was a simpler objective – spend time with his girlfriend. He was waiting to meet her on a street corner in San Leandro in Northern California. But before she arrived, Fred was arrested. His crime: failing to report to a prison camp for those of Japanese ancestry. Fred Korematsu was an American citizen. Executive Order 9066 led to the incarceration of approximately 120,000 people of Japanese ancestry -- 60% American citizens. In addition to losing their freedom, many also lost their land, businesses and possessions. Following his conviction, Korematsu challenged the constitutionality of the executive order. His case reached the U.S. Supreme Court. In 1944 he lost in a 6-3 decision. This all sounds like ancient history -- the stuff of black and white pictures and grainy news reels. Except the Korematsu case was mentioned by some, during the presidential campaign, in the context of whether then-candidate Donald Trump’s proposed immigration restrictions could be justified based on national security concerns. The President’s recent executive order, restricting travel from certain countries, has also brought up discussion of the Korematsu case. February 19th marks the 75th anniversary of the signing of Executive Order 9066. That this executive order is celebrating its diamond anniversary now is breathtaking timing. Last week I had the privilege of speaking to Fred Korematsu’s daughter, Karen Korematsu, Founder and Executive Director of the Fred T. Korematsu Institute in San Francisco, about her historic father. He passed away in 2005 at age 86. But my interest in speaking with Karen wasn’t so much about her father’s case. Korematsu v. United States, including its re-opening in 1983 in a California federal court, has been the subject of scholarly study for seven decades. What could possibly be left to learn about it? To lawyers and judges, Supreme Court cases are just tools to prove a point in the next case. But behind all that talk about compelling governmental interests, balancing tests and lots of other abstract concepts that courts come up with, are real people, whose lives have been forever affected by the case. This can be easy to forget when a Supreme Court opinion is just something you hold in your hand or read on a screen. Fred Korematsu was referred to by the Supreme Court as the Petitioner. That’s certainly not what Karen Korematsu called him. 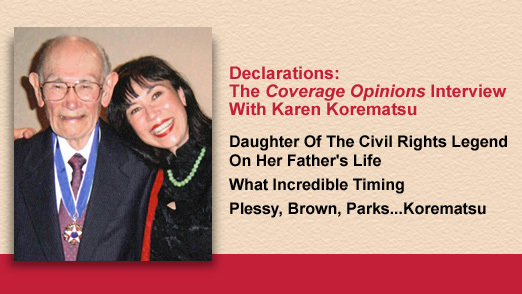 Karen Korematsu did not learn about her father’s landmark case until eleventh grade. That the case was never mentioned in the Korematsu home while she was growing up speaks volumes about the impact that it had on her father’s life. That’s the story I want to hear. 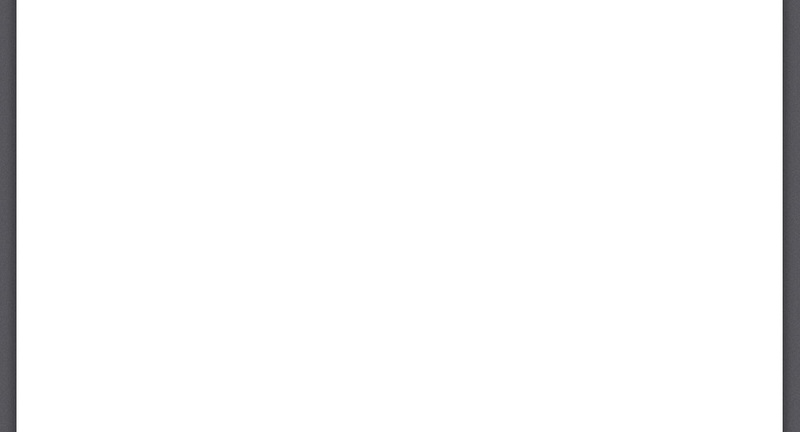 That’s the strict scrutiny I’m interested in. Fred Korematsu didn’t resist reporting to an internment camp because he was intending to challenge the executive order. He was 23 years old, wanted to spend time with his girlfriend and simply did not believe that what the government was doing was right. He was an American. He couldn’t believe what was happening. In an attempt to avoid reporting he went so far as to change his name and have minor surgery on his eye lids to look more Caucasian. Nonetheless, Korematsu was arrested, found guilty and sent to an assembly center in San Bruno, California, a former racetrack, where he was housed in a horse stall. A few months later he was transferred to a prison camp in Topaz, Utah. The American Civil Liberties Union was interested in challenging the constitutionality of Executive Order 9066. But the organization needed a test case. Korematsu agreed to serve that role. Notwithstanding the efforts of Korematsu’s lawyers, Justice Hugo Black, writing for the majority of the Supreme Court, held that “Korematsu was not excluded from the Military Area because of hostility to him or his race. He was excluded because we are at war with the Japanese Empire, because the properly constituted military authorities feared an invasion of our West Coast and felt constrained to take proper security measures.” Justice Black also pointed out that there was evidence of disloyalty on the part of some and time was short. It seems inconceivable that Karen Korematsu would not learn about her father’s case until eleventh grade. And even then it wasn’t because her parents had decided that the time had come to share his story. She learned about it while listening to a classmate give a book report on the subject. How could this be I asked Karen? She explained to me that, in general, Japanese Americans, as a whole, did not discuss their experiences with incarceration. They simply wanted to get on with their lives. But for Fred Korematsu his silence was more complicated. Karen told me that her family had been vilified by the Japanese community on account of her father challenging the executive order. Despite it seeming counterintuitive, many Japanese felt that the way to respond, as Americans, was to cooperate. In fact, the Japanese American Citizens League was strongly opposed to challenging the executive order and the organization was critical of those who did. In addition to the being ostracized by the Japanese community, Fred Korematsu faced other suffering on account of fighting the executive order. He had a federal criminal record – which hampered employment opportunities throughout his life – and he bore the burden of bringing shame to his family because of it. And, as Karen explained, he lived with the weight of letting down the Japanese community by losing his case. For all these reasons, Karen explained, her father’s response to his case was silence. Karen Korematsu told me that her father had always been looking for a way to re-open his Supreme Court case, both for himself and the Japanese community. For 40 years, she said, he never gave up hope that he would prove that he was right and the government was wrong. Fred Korematsu achieved his dream in 1983. In the early 1980s, University of California San Diego political science professor Peter Irons and researcher Aiko Herzig-Yoshinaga made a startling discovery. While researching government archives they found memos, written in 1943 and 1944, by the U.S. Attorney responsible for overseeing the drafting of the government’s brief in the Korematsu case. The DOJ attorney, looking for evidence to support the argument that the incarceration was justified based on military necessity, found the opposite. Numerous agencies of the U.S. government had, in fact, denied that it was. These reports had been suppressed and never presented to the trial court. Peter Irons visited Fred Korematsu at his home to discuss his findings and persuaded him to pursue legal relief. A team of pro bono lawyers was assembled and a motion for a writ of coram nobis was filed in the Northern District of California where Korematsu had been convicted all those years ago. This is an unusual writ, used to correct errors in criminal convictions where other remedies are not available. While Fred Korematsu remained silent about his case for a long time, he later worked to teach its lessons, including filing amicus briefs in the Supreme Court in post-9/11 cases involving unlawful detention. He was also involved in the efforts that led to the 1988 law providing an official apology from the U.S. government for the incarceration and token compensation. Even though Fred Korematsu eventually became an advocate, he was, Karen told me, still a reluctant one. Being shy and not considering himself a public speaker, it took the encouragement of Korematsu’s coram nobis legal team to get him involved. I commented to Karen that, in videos of her father attending events related to his case, he looked like he was enjoying himself. Her response was simple – the burden had been lifted after 40 years. Five months before Fred Korematsu died he passed the torch to his daughter to carry on the mission of teaching the lessons of his case. But as a non-lawyer and not a public speaker and busy with her own hotel and restaurant design firm, Karen wasn’t sure that she was the right person for the job. But with encouragement from students and her father, as well as the coram nobis legal team, she signed on. In 2009 Karen Korematsu founded the Fred T. Korematsu Institute. Its mission is to remember the incarceration of Japanese Americans and make connections with present-day civil rights discrimination. In an effort to achieve this Karen logged nearly 100,000 miles last year traveling the country speaking at all manner of schools and conferences. Karen has also worked to share the story of Fred Korematsu through the establishment of the “Fred Korematsu Day of Civil Liberties and the Constitution” held on January 30, her father’s birthday. California was the first state to recognize the day in 2011 and, since then, Hawaii, Virginia and Florida have followed suit. Two significant future goals of the Institute are a postage stamp and the establishment of a national holiday honoring Fred Korematsu. The Institute also seeks to achieve its teaching objectives through the creation of curriculum kits for grades K-12. The kits include teaching materials about the WWII incarceration, Korematsu case, Asian American history and current civil rights issues. To date, kits have been distributed, free of charge, to schools in all fifty states, and several foreign countries, reaching over one million students. Does the Institute’s creation of the curriculum kits mean that schools need help teaching the story of the Japanese incarceration? I pose this question to Karen Korematsu. Yes, she tells me, without hesitation, mentioning the many people she meets, through her traveling, who are not familiar with it. And even when it is taught, Karen tells me, it is often minimalistic. The curriculum kits are a way to get the incarceration story in front of students, not to mention in a way that puts no burden on already cash-strapped school districts and teachers. By my own count, Howard Zinn’s book, A People’s History of the United States (2015), self-described as “the classic national bestseller,” devotes three-quarters of a page to the WWII internment of Japanese individuals and includes one line about the Korematsu case, but without mentioning it by name. And no doubt even some books that address the Korematsu case devote little attention to Judge Patel’s decision vacating Korematsu’s conviction. Zinn’s book is silent on it. I checked my Constitutional Law case book from law school (Gunther, 11th edition). It devotes a couple of lines to the 1984 decision--in a footnote. Of course, if the goal of the Fred Korematsu Institute is teaching, then surely there is no better time than the present for that. Indeed. Karen tells me that the Institute is busy converting the current immigration discussions into opportunities to achieve its educational missions. But it is, she notes, a double-edged sword.